The International Bobsleigh and Skeleton Federation (IBSF) originally accepted the McLaren Report, until it asked to see the evidence. And that evidence has not been forthcoming, Ellis Cashmore, professor of sociology at Aston University, told RT. 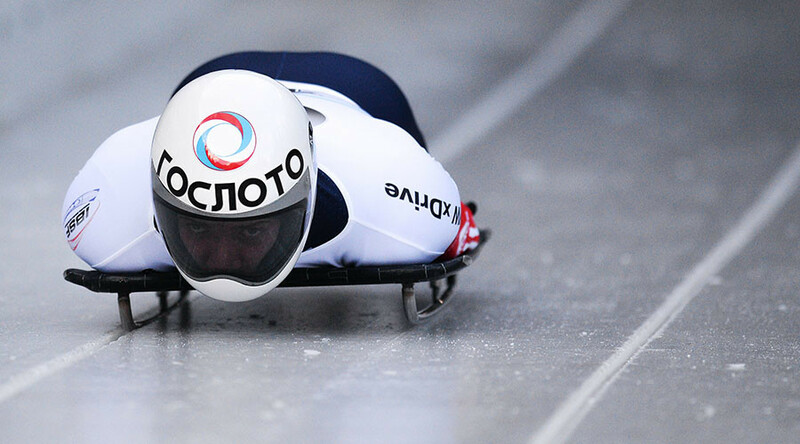 The International Bobsleigh and Skeleton Federation has announced a reversal on the provisional suspension of four Russian skeleton athletes. “There is not (yet) sufficient evidence against the athletes that would justify the provisional suspension," IBSF announced in a statement. The ruling gives the green light for the four Russian athletes to compete at the skeleton European Cup to be held in Winterberg, Germany on January 14-15. Two of the Russian athletes won medals at the Sochi Olympics in 2014. RT: This latest decision to overturn the suspension of four Russian athletes because the evidence isn't sufficient, feels similar to the ban right before the Olympic Games in Rio, where there seemed to be a lack of evidence too. This keeps repeating, doesn’t it? Ellis Cashmore: It does. This insufficient evidence is actually quite damning when you think about it. There is an implicit critique of the credibility of the McLaren report. The international Bobsleigh and Skeleton Federation originally accepted the McLaren Report, like anybody else in the world - apart from Russia, of course - and now it seems to have said: “We will ask the IOC: could we see the evidence?” And that evidence has not been forthcoming. Thus they feel that in the interests of natural law and justice they cannot sustain the suspension on the athletes. So they have said: “Ok, we’ll take away the suspension and we’ll see how we get on from this point. Let’s see if the evidence turns up.” My guess is that it probably won’t. RT: Does this changing of decisions on athletes have an effect on their performance? RT:The way these sanctions, etc. were implemented seems really fuzzy. Individual sports federations are supposed to be responsible for such decisions, but the anti-doping association has now taken the wheel. We’ve seen this before, haven’t we? EC: We have. The whole thing is always marred in confusion and I do think we have to understand the political context in which all this is taking place. I can’t believe that we can meaningfully step away what is going on in the world of sport. We can’t separate that from these hacking accusations that are going on in the US. It is clear after the McLaren Report calling that there are a lot of pressure on these international federations to bring these cases forward. This case today shows an issue, which is there has to be hard evidence under the World Anti-Doping Code to prove anti-doping rules violation. But the Code says: you have to prove a violation to the comfortable satisfaction of a hearing panel and unless there is a positive test out there to these four athletes, or the other ones that are a part of the McLaren Report, it is going to be difficult for these federations to prove these anti-doping rules of violations...” - Paul Greene, Sports lawyer, to RT. So we have doubt and are compelled to ask: “Who do we believe now?” On the one hand, we’re hearing that there is evidence; on the other hand, we’re not allowed to say that evidence. It is a very complicated situation. And one that will become even more complicated, I imagine.